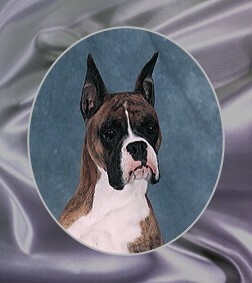 Carter represents our 4th generation and 13 champions in 15 years of limited breeding. Carter racked up 11 points with both majors by the time he was 7 months old. 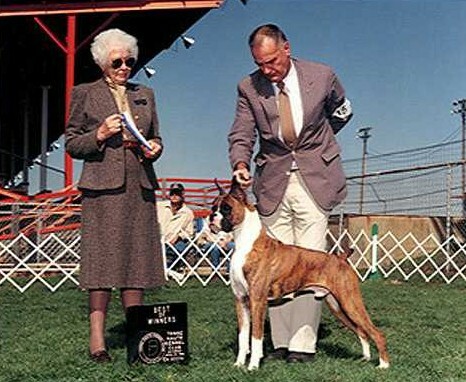 After finishing his Championship at a young age Carter was a multiple Best of Breed winner and then introduced us to Agility and is now busy taking Valerie to trials in the MidWest. Carter now has his Novice Agility Title, each time scoring a perfect 100 points and receiving a first place!!!!!!. On August 26, 2001 he also earned his Novice Agility Jumpers with Weaves title. So now he is well balanced with a title on both ends!!! We now do agility with our youngsters before they enter the confirmation ring. 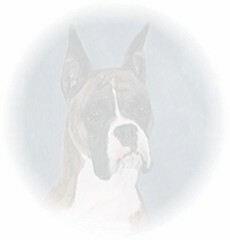 Carter has one champion offspring to-date, Ch. Sierra's Cause'N Commotion, another pointed with a Best of Breed from the classes over Specials and several others striving for their titles. Carter has a true Gold Medal Heart and Attitude. He never ceases to amaze us in his "Quest for the Best". On February 18, 2001 Carter added another title to his credit. 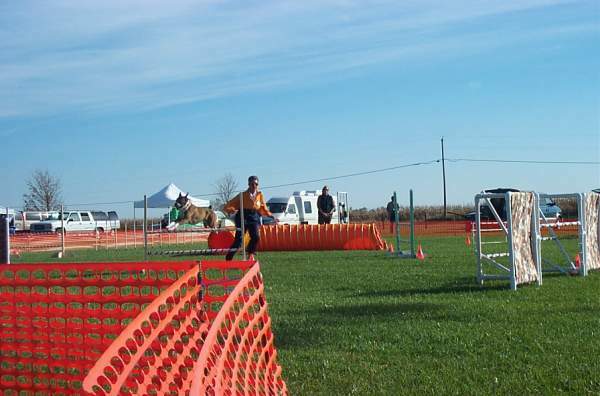 Agility I (UKC). So now he has three titles!!!!!!!!!!!!!!!!! FLASH!!!!!!!!!!! !On November 18, 2001 Carter adds still another title, U-AGII, with a perfect score of 100 and first place!!!!!!!!!!!!!!!!!!!!!!!!!! On October 21, 2004 we lost our wonderful boy to that dreaded DM. He was strong and proud and when he couldn't walk on his own anymore we knew it was time. Carter will be in my heart forever. Fortunately, he lives on in the heart of his son, Nike, and we are opening our hearts to his granddaughter, Ditto, who is so like him. "Thank you dear boy for sharing your life with me. I am better for it."